What is a Combi Boiler? Should I consider one? Remember the days when your water tank used to be in the roof or worse filled your whole airing cupboard? Well a Combi (Combination boiler) combines the functions of a water heater and central heating in one boiler unit. Therefore, no separate hot water cylinder is required. It also delivers the water through your taps and shower at mains pressure, meaning you get the benefit of a powerful shower without the need for a pump! The majority of new boiler installations in UK homes are now Combi boilers due to their high efficiency and compact size. A Combi boiler is a highly efficient condensing boiler. This means that it condenses surplus energy that would otherwise have been wasted and recycles it back into your central heating system. All boilers produce waste flue gases. 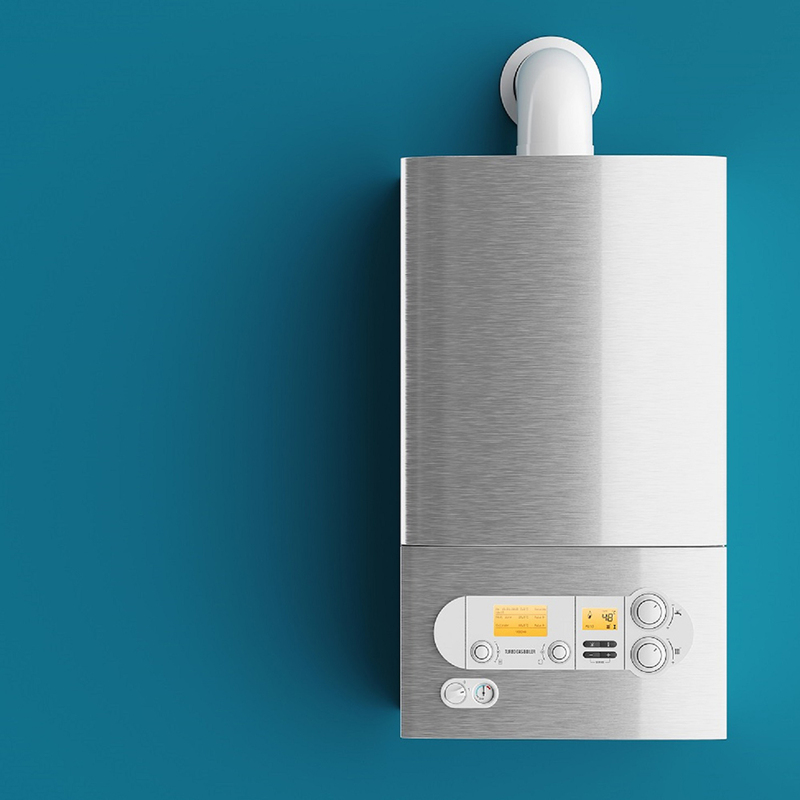 A condensing boiler has a flue gas heat recovery system which recycles the heat from the waste flue gases and uses it to preheat the new, cold water as it enters the boiler from the mains. This means that the boiler does not need to work as hard to heat the water and therefore uses less energy. With only 1 unit and small enough to fit in a kitchen cupboard you save space. They are easy to install, there’s no need for multiple elements and they can be fitted anywhere in the home. Hot water is on demand – there is no need to store hot water. This equals less energy used and no waiting around for a hot water tank to refill. You will have increased water pressure through your shower and taps, as the water supply comes directly from the mains. Ensure you have an adequate supply of water coming from the mains. Low pressure will impact on your taps and showers too. All condensing boilers require a condensing pipe to drain the condensed vapour and dispose of it down a drain. If a pipe can’t be added where the existing boiler is positioned then it may need to be relocated. This will increase the installation cost. The size of the Combi boiler will depend on the number of radiators and bathrooms you have in your home. The larger the home the higher the output needs to be. What are the costs of a Combi boiler? A new boiler typically costs between £500 and £2000, depending on the size and brand. You will then need to pay for the installation. This will vary in price and will depend on factors such as; new piping and new radiators.